With a surgically sharp straight razor. At 503 Fades, we have the steadiest hands in town and make clean shaves look easy. Word of advice, don’t try it at home. 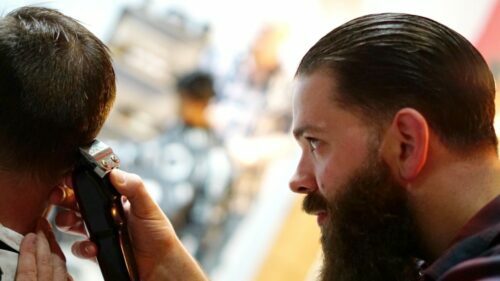 You’ll be glad you didn’t..
Line Ups are one of the most important parts of a cut. A Line Up gives your fade game a major Step Up. Every cut comes with a hairline line up unless requested otherwise. That way nobody leaves the shop looking less than their best. Possibly the most import part of your cut. Line-ups round out your cut. Maybe you don’t have the time or your don’t need a full fade but something looks off. It is probably the line of your cut. 503 Fades doesn’t just do full cuts. We also offer line-ups to make sure your hair straight looking fresh until you really need your next cut. Get your Jefe’s Club Card before they become exclusive!